I was expecting to have Easter dinner with 17 of my extended family members and I wanted the house to look nice. 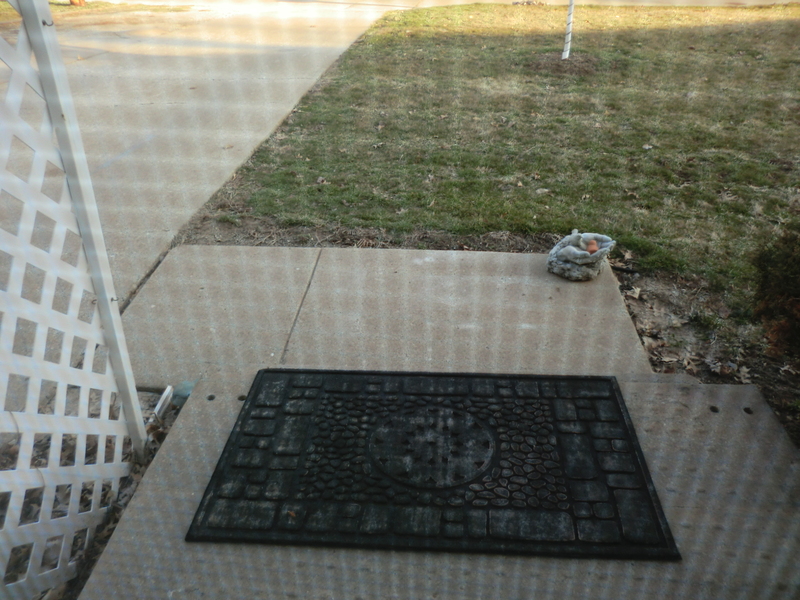 When I returned home from a dentist appointment, I noticed the welcome mat was partially faded. The result was always the same. Our home faces south and there is no shade by the front door; they barely last six months. As I looked closer at this one, I realized it was made out of rubber and there was no wear on it, just the color had faded. I did not have time to order a new one and I asked Mr. Frugalfish to just sand the rest of the color off. 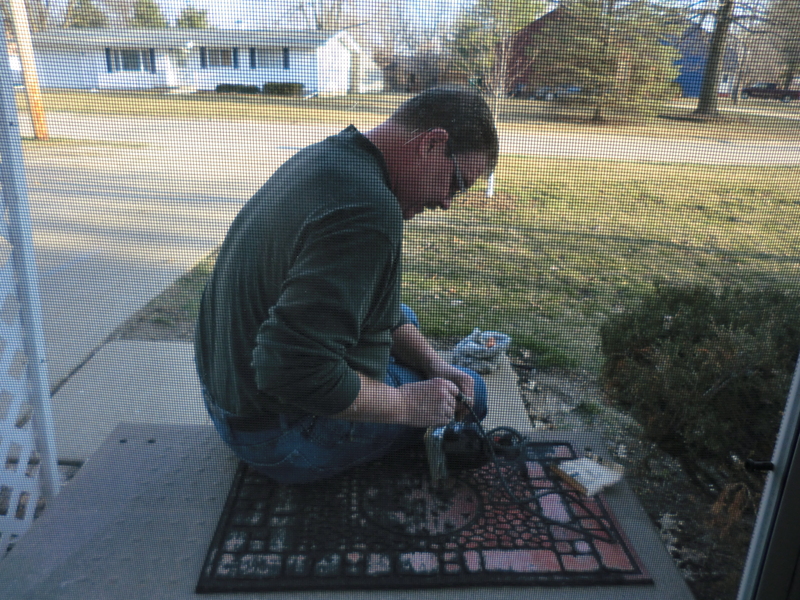 Sanding the color off of the rubber welcome mat. Besides, I like the color black and I know this mat will last. This entry was posted in Decorating, Money Saving Ideas, Use What You Have and tagged Decorating, Make It, Use What You Have by Frugal Fish. Bookmark the permalink.